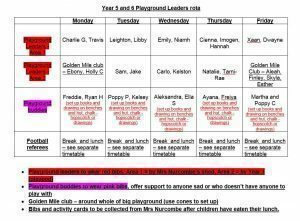 The playground leaders are a group of children in years 5 and 6, who have volunteered to lead some break time and lunchtime activities. In September 2018, these leaders were trained by our local School Games Organiser in how to lead small group activities and help children take part in simple, fun and easily accessible activities, with limited equipment. In the Autumn Term, they are beginning to lead a variety of different lunchtime activities. As well as this, they are offering to play, support and to be a friend for children who would like to sit and be quiet at lunchtime – maybe offering to read a book or do some drawing with them and make sure they have someone to play with.